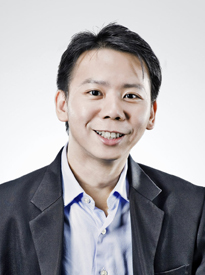 Thong Chee Kun has a comprehensive practice in criminal law. In particular, he is highly specialised in the area of financial and regulatory crimes and offences. He has extensive experience in advising and acting for clients in many major cases involving corporate and compliance breaches, corruption offences, tax-related offences, fraud, cheating, criminal breach of trust, cybercrime as well as securities fraud such as market manipulation and insider trading. Apart from having vast courtroom experience, Chee Kun has represented many individuals and corporations in respect of enforcement proceedings initiated by other regulatory bodies including the Monetary Authority of Singapore, Singapore Exchange Ltd and the Ministry of Manpower. Beyond domestic crimes, Chee Kun has also advised on several cross-border criminal-related issues including extradition, mutual legal assistance, proceeds of crime as well as strategic goods and customs-related matters. He has advised clients in respect of action commenced by foreign agencies such as the United Nations and the Office of Foreign Assets Control. Chee Kun has also advised several companies and financial institutions on disclosure, regulatory, anti-money laundering, anti-corruption and compliance matters. He has conducted several big-scale corporate and financial investigations for several corporations in respect of corporate and compliance breaches, fraudulent activities and errant employees. Apart from criminal law, he has also acted for and advised both individuals and corporations in corporate litigation matters such as disputes among shareholders or directors, civil disputes and employment law. Between 1999 and 2005, Chee Kun was a Deputy Public Prosecutor and State Counsel with the Attorney-General’s Chambers. He was attached to the Commercial Affairs Department (CAD) in 2003 and 2004 to advise CAD on investigative, money-laundering and other prosecutorial matters. Chee Kun led the prosecution of several complex, high-profile cases of commercial crime and securities fraud including PP v Chia Teck Leng (major case of fraud committed by an executive of Asia Pacific Breweries Pte Ltd); PP v Ang Tian Kiat (case of market manipulation of securities of Leong Hin Ltd); and PP v Jacqueline Khoo and Elizabeth Khoo (major case of corporate mis-governance). Since then, Chee Kun has advised and defended clients in several significant cases including PP v Ho Leng Woon (case of disclosure-based offence committed by officers of AP Oil International); PP v Ong Seow Yong (major case of disclosure-based offence committed by directors of Airocean Group Ltd), PP v Eric Tan Boon Yang (case of falsification of accounts of JEL Corporation (Holdings) Ltd); PP v Ding Si Yang (major case of football match-fixing); Tan Seet Eng (major case of detention under the Criminal Law (Temporary Provisions) Act for football match-fixing); PP v Ivan Chng (case of market misconduct); Hia Benson v PP (major case of extradition); and PP v Lee Siew Ngan (major case of market manipulation).